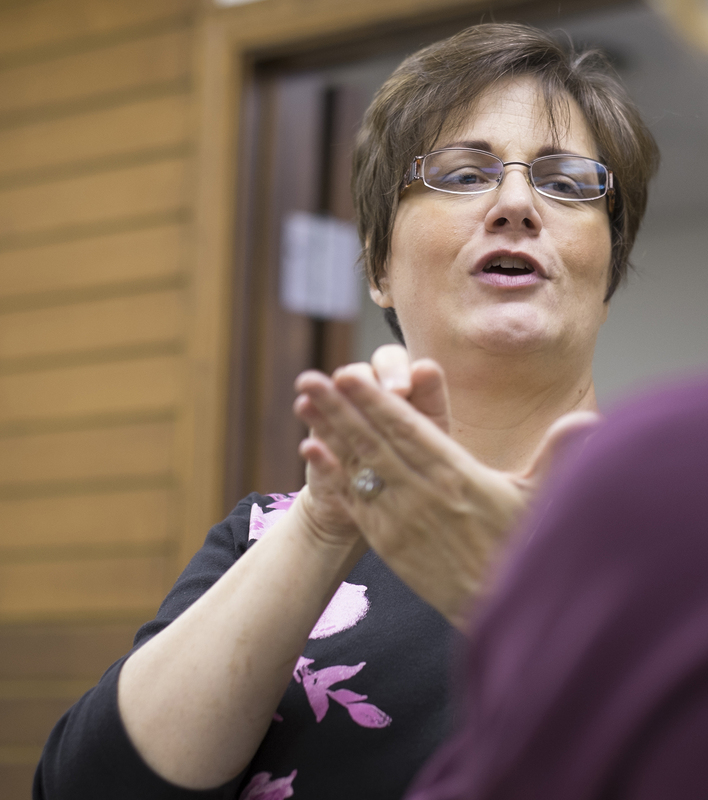 Dr. Barbara Garrett uses American Sign Language to communicate with a Deaf person. A William Woods University professor has been recognized by Ingram’s as one of 50 Missourians You Should Know. The Kansas City-based business magazine hit the newsstands Monday. Dr. Barbara Garrett, program director and professor of American Sign Language Studies and Interpreting Program, joined the ranks of Tim Wolfe, president of the University of Missouri system; Fred Parry, publisher of Inside Columbia; and Lou Brock, Hall of Famer from the St. Louis Cardinals. Garrett built the program at WWU from an associate degree program to a bachelor’s degree program in 1993 and was department chair and assistant professor from 1993 to 1998. After working in Missouri, Colorado, California, Washington and Minnesota, she returned to William Woods in 2010 in her current position. 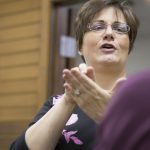 Upon her return, she set out to develop an online four-year interpreters’ degree program to meet the needs of interpreters trying to satisfy new national certification requirements. Since July 1, 2012, national certification for interpreters requires a four-year degree. 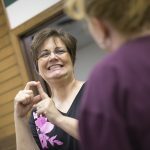 As a result of Garrett’s efforts, the university was approved by its accrediting body, the Higher Learning Commission, to provide a Bachelor of Science degree in interpretation studies in American Sign Language-English through distance education delivery. There are around 100 associate (two-year) degree programs and about 25 BA/BS degree programs in this field nationwide. 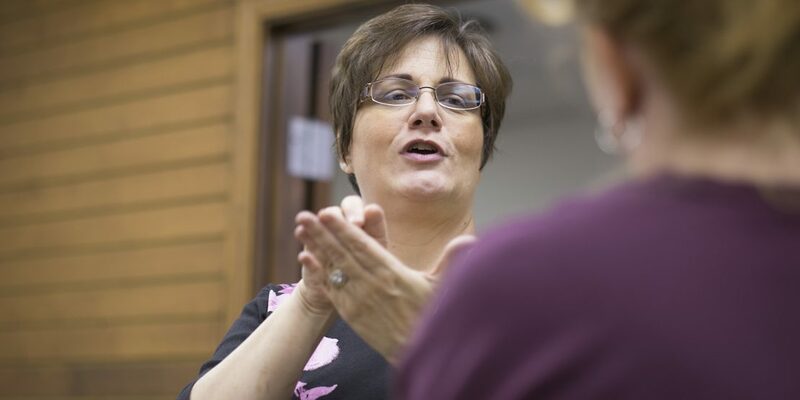 The WWU Bachelor of Science degree in interpretation studies in American Sign Language-English is one of only two online degree-completion (four-year) programs in the country and the only one from a long-established interpreting program. Garrett earned an associate degree from Northwest University, Kirkland, Wash.; a B.A. 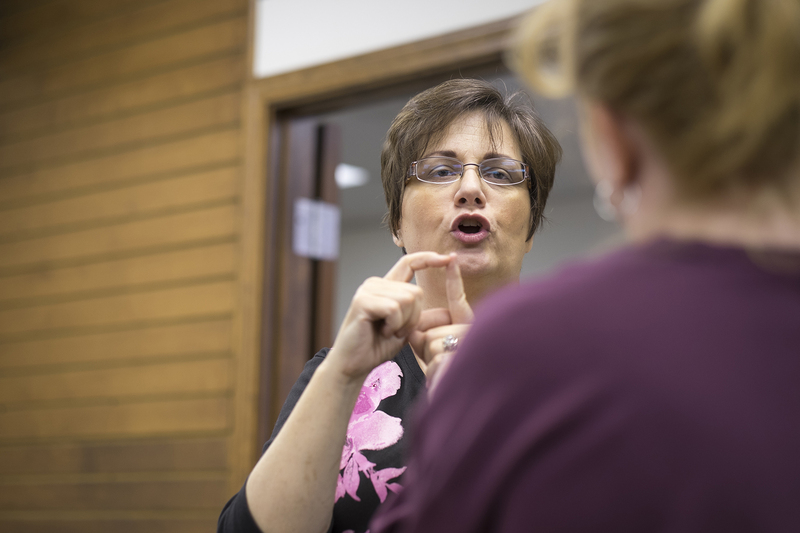 in Deaf Ministry at World Evangelism Bible College, Baton Rouge, La. ; an M.A. 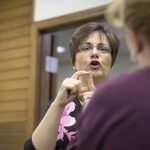 in Education of the Deaf from Missouri State University; and a Ph.D. in Intercultural Education from Biola University, La Mirada, Calif.